There's something special about waking up deep in a forest: sleeping in the woods engenders a cosiness that can't quite be replicated anywhere else, and the truth is that staying in a wooden lodge in some of the Cairngorms National Park's deepest, darkest woodland is about as far away from most people's day-to-day existence as it's possible to get. That is perhaps why the enterprising folk up here founded Cairngorm Lodges, which offer the chance to get away from it all in some of the finest natural scenery the UK has to offer. Situated on the 750-acre Blelack Estate in Aberdeenshire, they started with the repair and renovation of just one building, an existing 'Woodcutter's Cabin', and it was such a success they decided to build four more lodges from scratch, each in its own secluded forest location. It's a real get-away-from-it-all break, with no wifi, no reception building or additional facilities: just the lodges, and the woods. Nonetheless the lodges are very well equipped. Each has two bedrooms – one double, one twin, so perfect for a family of four; they each have a sitting room/kitchen and bathroom, outside decking with barbecue, and are heated by a wood-burning stove and lit with low-energy lighting, and logs are laid on in generous supply. Everything is done with the environment in mind: the lodges are built from sustainable wood and the forest sustainably managed; they re-cycle everything, and, perhaps most importantly, they are passionate about preserving and encouraging the local flora and fauna, encouraging dragonflies, running bee-keeping courses and offering lots of advice on where to spot local wildlife – red squirrels are daily visitors to the lodges and there are red deer in the woods and beyond; and among an abundance of birdlife you will be able to spot kestrels, sparrow hawks and pine martens. The only real difference between each of the lodges is their location. For example, Osprey Lodge overlooks a small loch, while Red Squirrel Lodge is sited deepest into the woods – the ideal location for jaded city folk wanting to immerse themselves in complete peace and quiet. All the lodges are dog-friendly, and the forest has a multitude of marked paths it would take weeks to walk – plus there are plenty of hill and mountain walks beyond, with no less than 24 'Munros' accessible from the site. It's also a fabulous area for horse-riding and in particular mountain-biking, with some great mountain-bike routes through the forest. It's also not far to the mountain-biking centre of Tarland Trails, and bike hire is available at Cycle Highland in Ballater, a few miles southwest of Cairngorm Lodges. All in all, we reckon this could be the perfect place for both an active holiday and a peaceful contemplative one – or, even better, a mixture of the two! 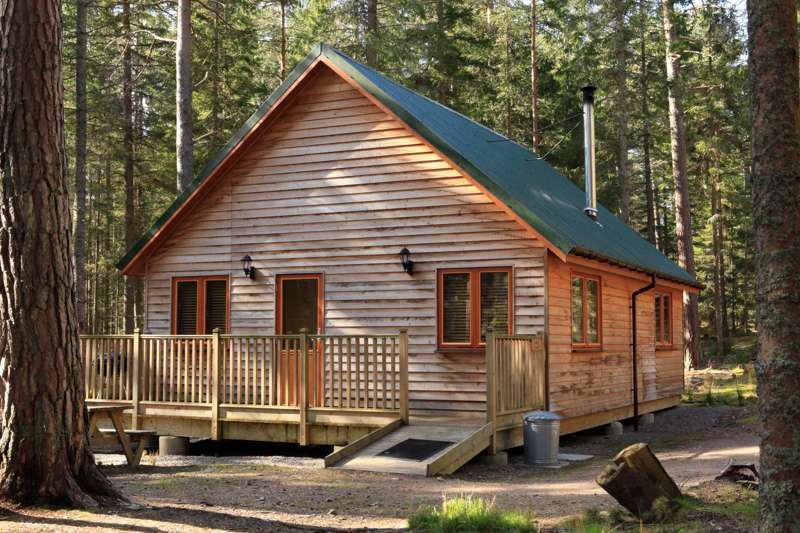 Our forest hideaway, located on the eastern edge of one of the last greatest places on earth, The Cairngorm National Park and right in the heart of Royal Deeside is a very special place. Queen Victoria fell deeply in love with the area, making her Scottish home at nearby Balmoral, and we certainly have too. The ancient Scots pines of our estate allow us, and our guests, to roam for miles beneath the tree canopy. We never tire of spotting a red squirrel, roe deer, capercaillie or pine marten. Some guests come to simply sit by the woodburner and enjoy the forest setting. Others take in the place and visit the castles, the distilleries, the farmers markets or partake in skiing and mountain biking. Many of our guests come back again and again which pleases us immensely. It is the absolute quiet of the place and the clean fresh air, combined with the vast space from mountain to valley that makes our hideaway so unique. For those who want to discover more than the dramatic natural environment, the Queen’s Highland home Balmoral (01339 742 534) is a 25 minute drive away. 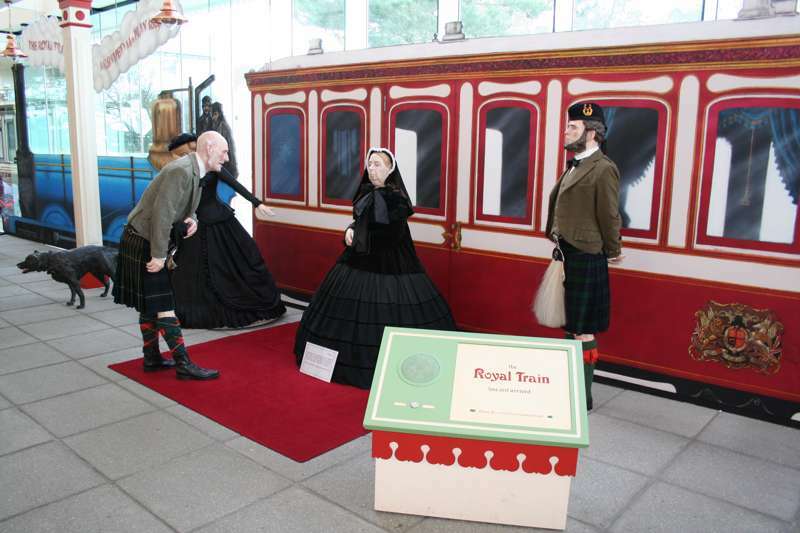 The trim Victorian village of Ballater and the newly re-opened Ballater Railway Station are just 15 minutes away. A drive to Braemar and its grand castle (01339 741 219) takes around 40 minutes. Five lodges, each sleeping 4. 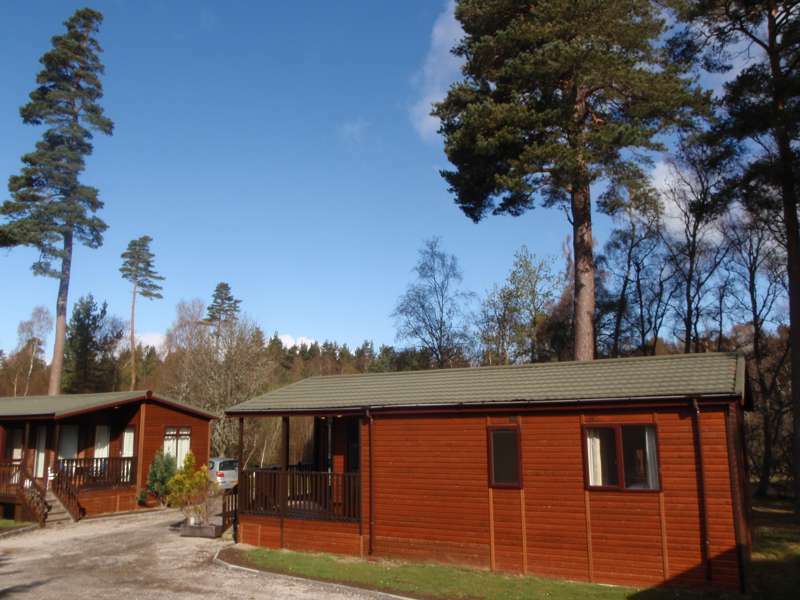 The four newest lodges cost £530–£740, depending on the time of year; midweek or weekend breaks are £390–£455. The original Woodcutter's Lodge is £450–£620 a week, short breaks £340–£455. From Aberdeen, take the North Deeside road through Banchory, Kincardine O’Neil and Aboyne, continuing on towards Dinnet. Just before Dinnet a sign indicates you are entering both the Cairngorms and the Highlands of Scotland. Once in the village, make a right turn at the brown tourist sign towards 'Huntly, Logie Coldstone and the The Lecht ski centre' and after 4 miles a brown tourist sign points to Cairngorm Lodges. Proceed on to Logie Coldstone: as you approach the village, Cairngorm Lodges is on the right, just after the first of two '30 mph' speed-limit signs.